This low carb Thai Dipping Sauce is a super useful recipe! 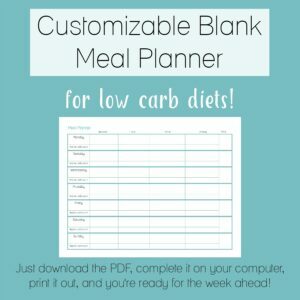 It’s keto, sugar free, and gluten free, too! 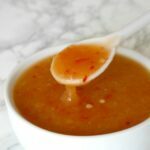 So although I already have a low carb Sweet and Sour Sauce recipe on the blog, I’ve decided to add another one because it’s really quite different! This sauce is Thai, more than Chinese, and is made from red bell peppers. 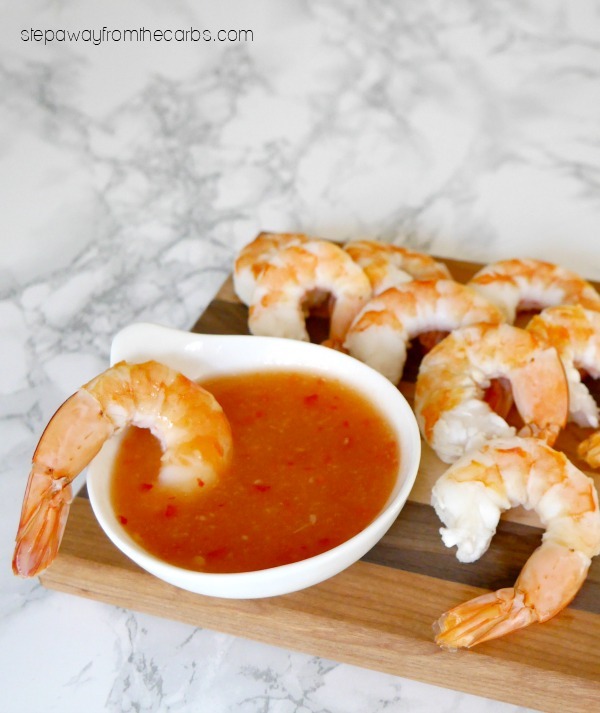 It’s great for dipping (PERFECT to go with my coconut shrimp!) but also it’s delicious with mushrooms or chicken as a sauce. You can even make it spicy if you like! 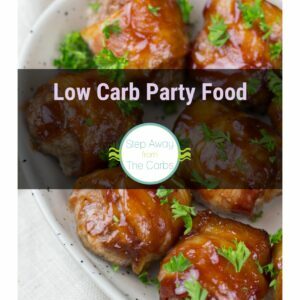 It’s based on a book I’ve had for around 10 years called Low Carb Gourmet – and it dates back to when Splenda was the only acceptable low carb sweetener to be used in published recipes! Although widely available, Splenda definitely has its limitations, and thankfully these days we have many more options to choose from. To make the base of the dipping sauce, add water and low carb sweetener (eg xylitol or Swerve) to a small saucepan and heat until the sweetener has dissolved. Set aside to cool. Roughly chop half a red bell pepper (include some of the seeds!) 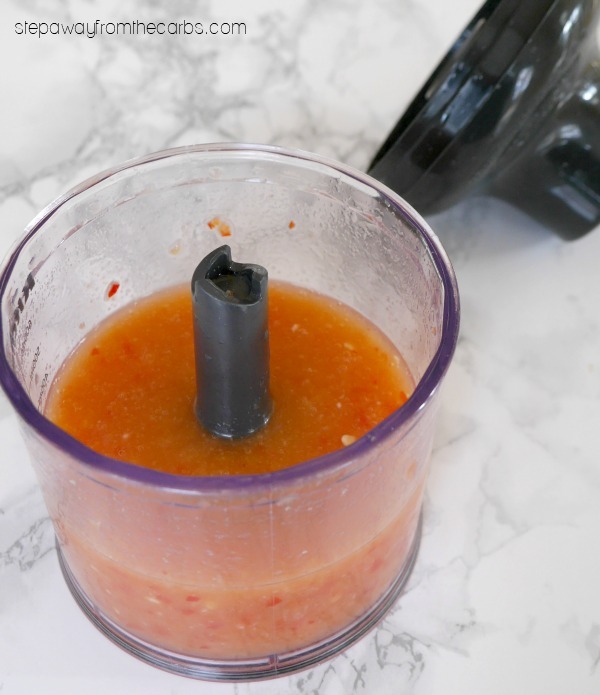 and place it in a small blender (this sauce *just* fits into the cup attachment on my stick blender! ), together with garlic paste, salt, and half the sweetened water. Blend until only tiny pieces of pepper remain (and you will still see some of the seeds – it’s supposed to be like that!). Add lemon juice, fish sauce, and the remaining water. Blend again and give it a taste test – you may prefer a touch more lemon, or salt, or even fish sauce to get that perfect blend of sweet and sour. Finally, sprinkle some xanthan gum over the sauce, and give it a final whizz. This will immediately thicken up the sauce – no cooking required. Xanthan gum is a really handy zero carb thickener that is useful for all kinds of things! Transfer the sauce to a bowl, cover, and store in the fridge for up to a week. It freezes well, too! Oh, and if you want to make it a spicy low carb Thai dipping sauce, you have several options. You could blend a fresh chili pepper with the bell peppers, or you could add some hot sauce, or even a few shakes of red pepper flakes! 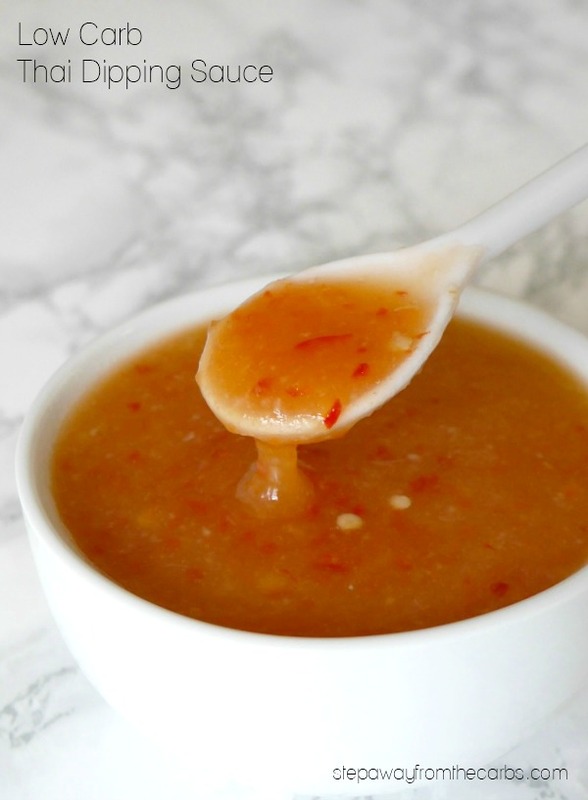 This low carb Thai Dipping Sauce is a super useful recipe! It's keto, sugar free, and gluten free, too! Add the water and sweetener to a small saucepan and heat until the sweetener has dissolved. Set aside to cool. Roughly chop the pepper (include some of the seeds!) 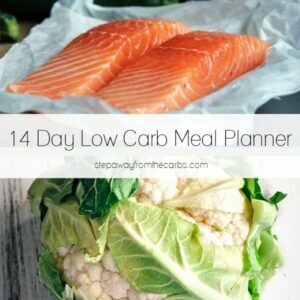 and place it in a small blender, together with garlic paste, salt, and half the sweetened water. Blend until only tiny pieces of pepper are visible. Add lemon juice, fish sauce, and the remaining water. 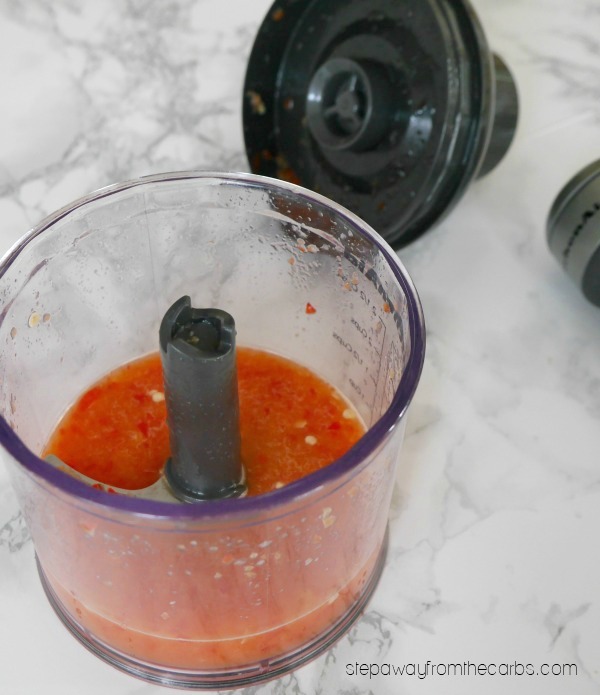 Blend again and give it a taste test - you may prefer a touch more lemon, or salt, or even fish sauce to get that perfect blend of sweet and sour. Finally, sprinkle some xanthan gum over the sauce, and give it a final whizz. This will immediately thicken up the sauce - no cooking required. Transfer the sauce to a bowl, cover, and store in the fridge for up to a week. This recipe makes about 1½ cups of sauce. 1g net carbs per serving of approximately 3 tbs.